Newton is one of the closest suburbs to Boston, and is known for its exceptional schools, safe environment and easy access to the Mass Pike. A broad selection of fine dining and shopping venues and easy MBTA Green Line and commuter train access into Boston makes Newton ideal for families and young professionals alike. Fully renovated single floor and two-floor townhouses make Walnut Terrace desirable for those seeking spacious units and quality living environments. 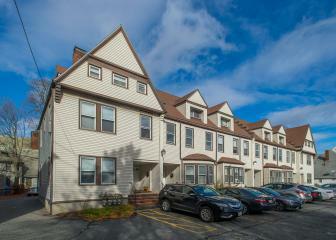 Situated close to the commuter rail and the Mass Pike in a desirable Newton neighborhood within walking distance to area restaurants and bars, Walnut Terrace offers a great location at a reasonable price. 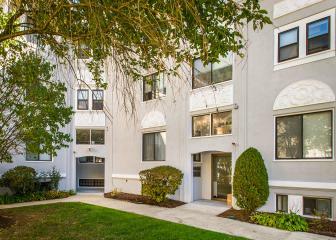 Many units feature refinished floors, new kitchens, balconies, and parking. This is a hidden gem located between Walnut and Central Streets and availability is limited. This striking, French chateau-inspired building offers the convenience of Newton living with close proximity to Commuter Rail and bus service. With newly renovated units as well as major interior and exterior upgrades, this property offers great value for those seeking a quality location with apartments ranging from the efficient to the expansive. 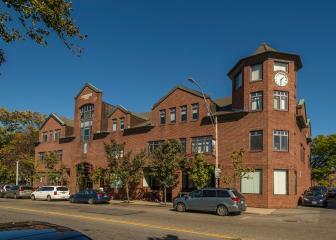 All upgraded apartments feature new kitchens and baths, hardwood floors and updated electrical systems. Located just minutes from the Mass Pike, this exceptional 33,000 square foot office building is strategically located for both growing and established businesses. An architecturally dramatic brick and beam building, 246 Walnut Street offers a wide range of office sizes and configurations for companies looking for upbeat, quality office surroundings along with onsite parking.